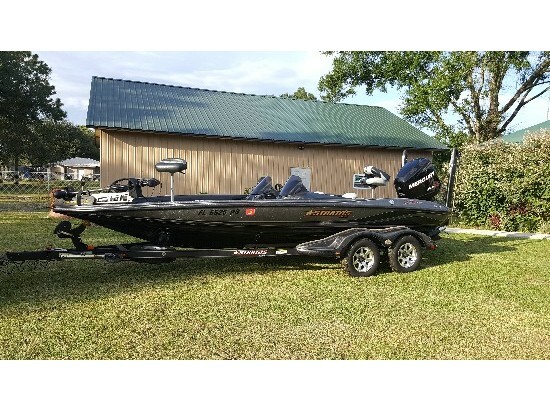 2016 Stratos 201 EVOLUTION 2016 21' STRATOS 201 EVO BASS BOAT FOR SALE IN ORLANDO / CENTRAL FLORIDA / ST. CLOUD, FL This 2016 Stratos 201 EVO comes powered with a Mercury 250 ProXS. Loaded with remote drain plug, remote oil fill, Hot foot, T&H Atlas hydraulic jack plate, Jack plate gauge, Dual trim at the wheel, Lowrance HDS 12 Gen 3, Lowrance point one antenna, Structure Scan, Lowrance HDS 9, Infinity Stereo, 4 bank charger, MinnKota 122 Fortrex, Dual 8' Power Pole Blades, Hydro wave, Custom boat cover, 17" Bullet Rims and fiberglass fenders. LIthumium Batteries Trolling motor!